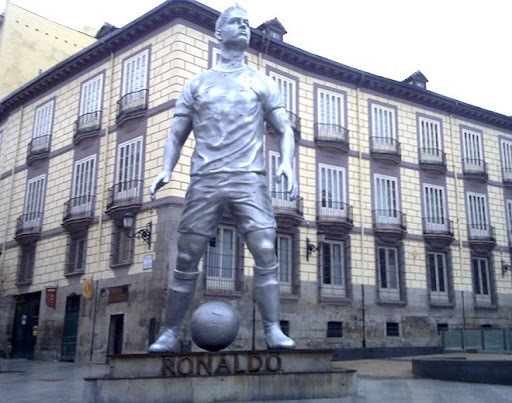 Just over six months after joining Real Madrid, Cristiano Ronaldo now has his statue in the Spanish capital. As part of an advertising campaign, Nike has built an 10-meter-high statue of the Portuguese superstar on the Plaza de Ramales, located in the heart of Madrid. The sculpture should quench the thirst for recognition and satisfy the ego of the world's most expensive player.